Today's post MAY be controversial. But, if you read to the end, you may want to give it a shot. If paper and ink is a commodity in your school OR you just want to jazz things up, consider using your table tops as work spaces. 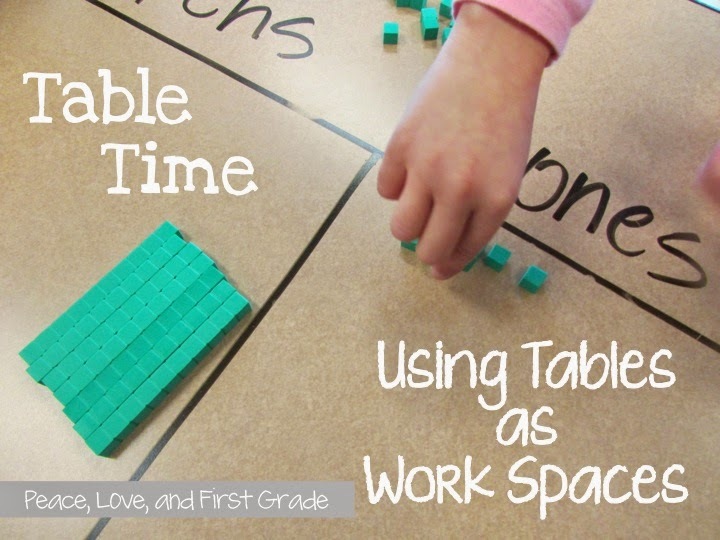 Just teach your normal lesson, but use the tables as work spaces. 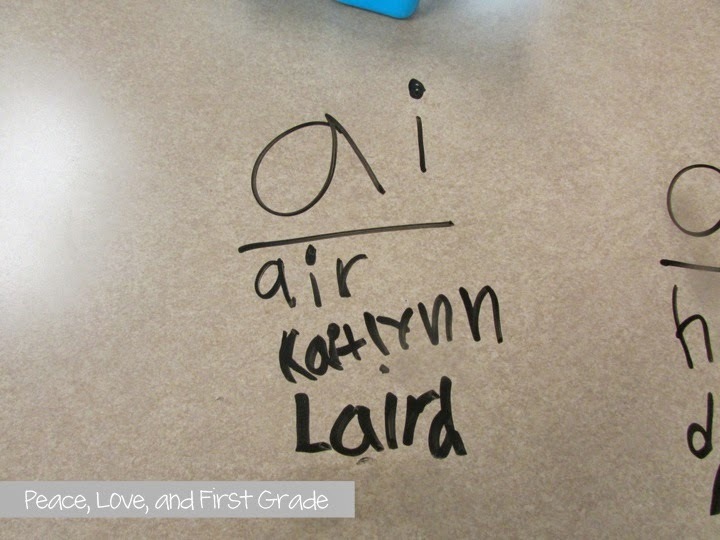 We write on our tables during "Table Time" every few weeks. in place rules and expectations. appropriate during a "Table Time" lesson. and ONLY when instructed to write. Afterward, the kiddos wash the tables with shaving cream. Our tables are nice and clean...and smell great, too! 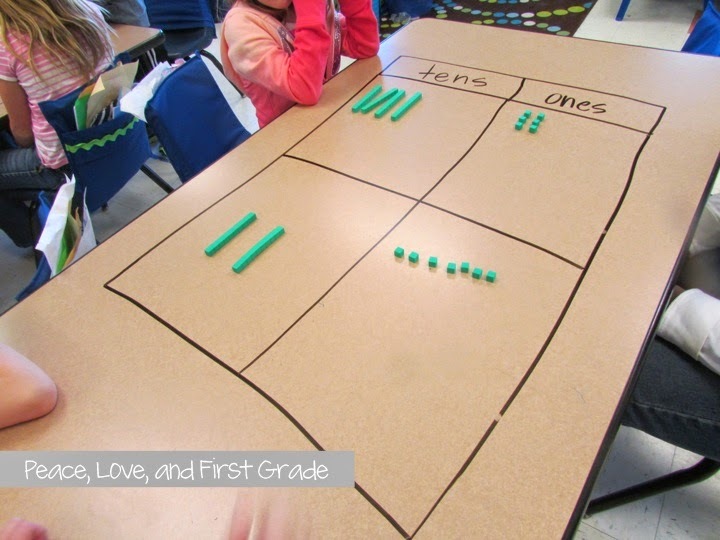 1-The table top was perfect for teaching regrouping. 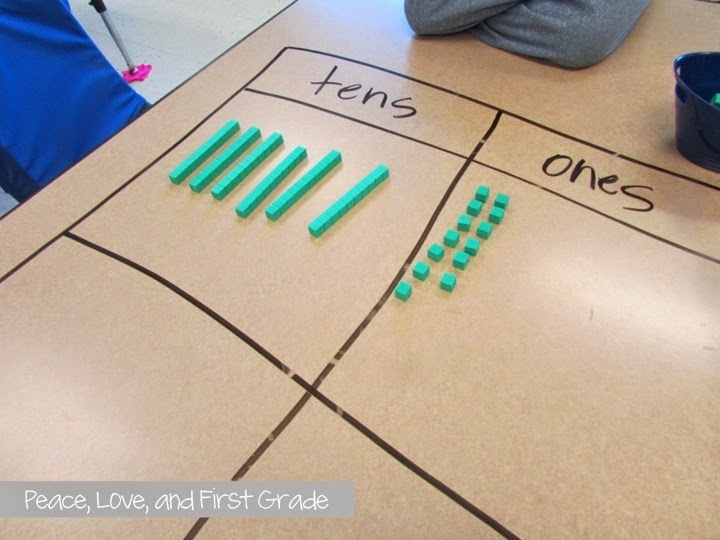 The kiddos could see the process as they manipulated the base ten blocks. They were seriously engaged in this activity! We had to do it every day that week! 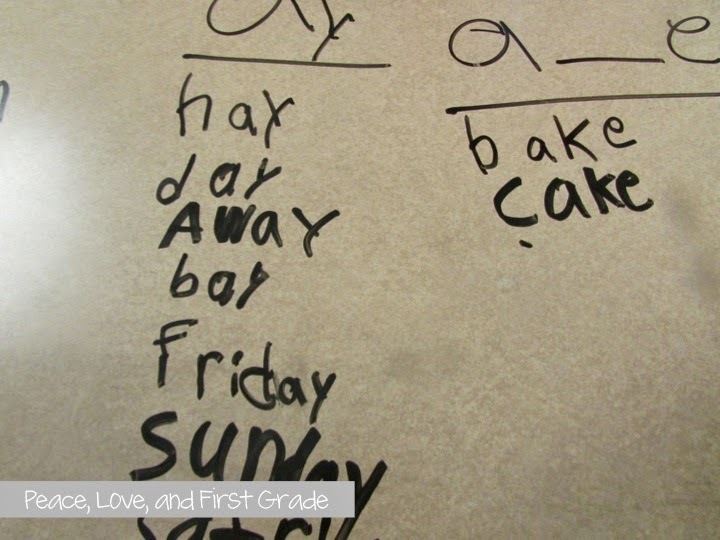 2-Here we used Table Time to work on long "a" words. Students worked in groups to brainstorm and sort words by their spelling patterns. Again, we had engaged firsties! I realize some administrators may frown upon this idea. you may be able to change their minds.